petition: Canada - Stop The HORRENDOUS Annual Clubbing Of Seals NOW! 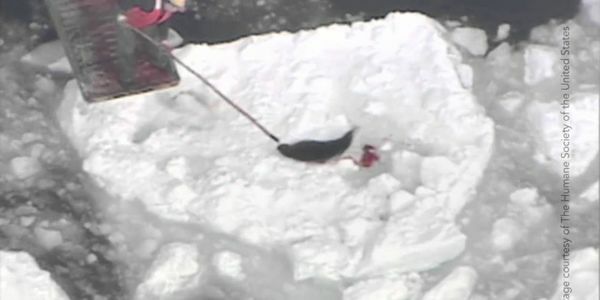 Canada - Stop The HORRENDOUS Annual Clubbing Of Seals NOW! Canada's annual commercial seal hunt is the largest slaughter of marine mammals on the planet. Facing harsh criticism the world over because of the hunt's cruelty and unsustainability, the Canadian government and fishing industry have spread much misinformation. Here are the basic facts about the hunt. 1. Which seals are targeted by Canada's seal hunt? Harp seals are the primary target of the commercial seal hunt, and to a much smaller extent, hooded seals are also killed. Fully 97 percent of the harp seals killed are pups under just three months of age. 2. Where are the seals killed? Canada's commercial seal hunt occurs on the ice floes off Canada's East Coast in two areas: the Gulf of St. Lawrence (west of Newfoundland and east of the Magdalen Islands) and the "Front" (northeast of Newfoundland). 3. Who kills seals and why? Sealing is an off-season activity conducted by fishermen from Canada's East Coast. They make, on average, a small fraction of their annual incomes from sealing—and the rest from commercial fisheries. Even in Newfoundland, where most sealers live, the government estimates there are less than 6,000 fishermen who actively participate in the seal hunt each year—less than one percent of the provincial population. 4. How are the seals killed? The Canadian Marine Mammal Regulations that govern the hunt stipulate sealers may kill seals with wooden clubs, hakapiks (large ice-pick-like clubs) and guns. In the Gulf of St. Lawrence, clubs and hakapiks are the killing implement of choice, and in the Front, guns are more widely used (though clubs are frequently used at the Front to kill seals that have been shot and wounded). It is important to note that each killing method is demonstrably cruel. Because sealers shoot at seals from moving boats, the pups are often only wounded. The main sealskin processing plant in Canada deducts $2 from the price they pay for the skins for each bullet hole they find—therefore sealers are loath to shoot seals more than once. As a result, wounded seals are often left to suffer in agony—many slip beneath the surface of the water where they die slowly and are never recovered. Please sign the petition to ask President Trudeau to stop this barbaric event NOW!